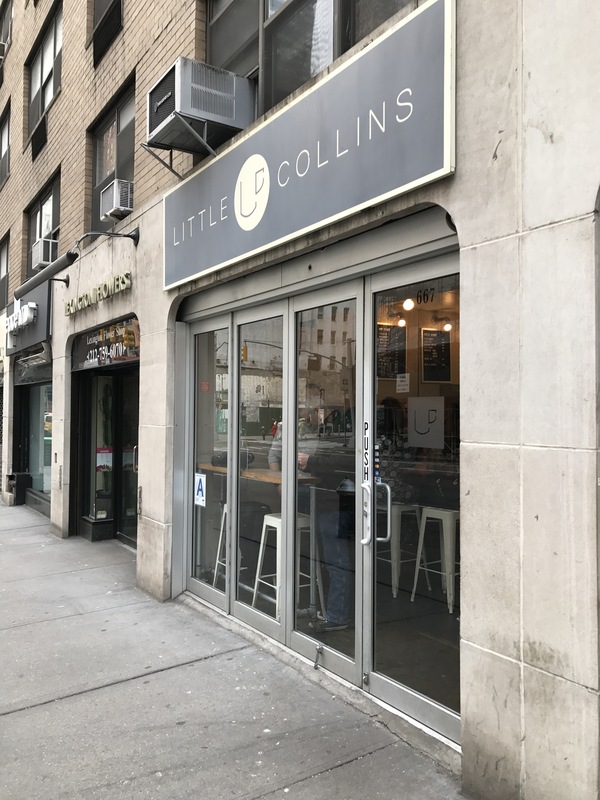 Another of the Melbourne coffee renaissance coffee shops happening in NYC is Little Collins, who went so far to take the name of one of Melbourne’s well known city streets. Loved by the locals for their great coffee, we visited on our last morning in the city for one final hurrah. 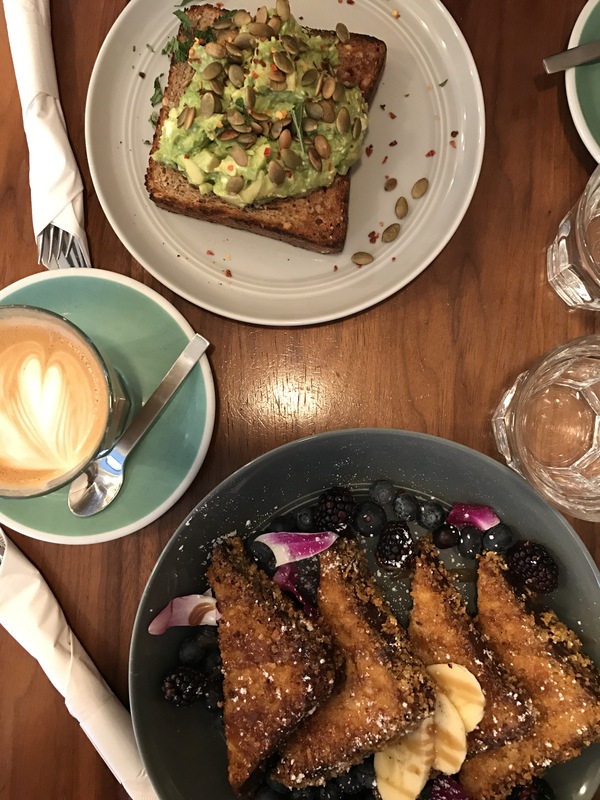 It’s not hard to see why New Yorkers have embraced Australian cafe culture, it’s something that’s really been missing from their food scene. Little Collins is a small and narrow venue with limited seating just like you’d find in the laneways of Melbourne. You place your order at the counter and give your name for the food to come out to you, unfortunately cafe table service isn’t as common here. 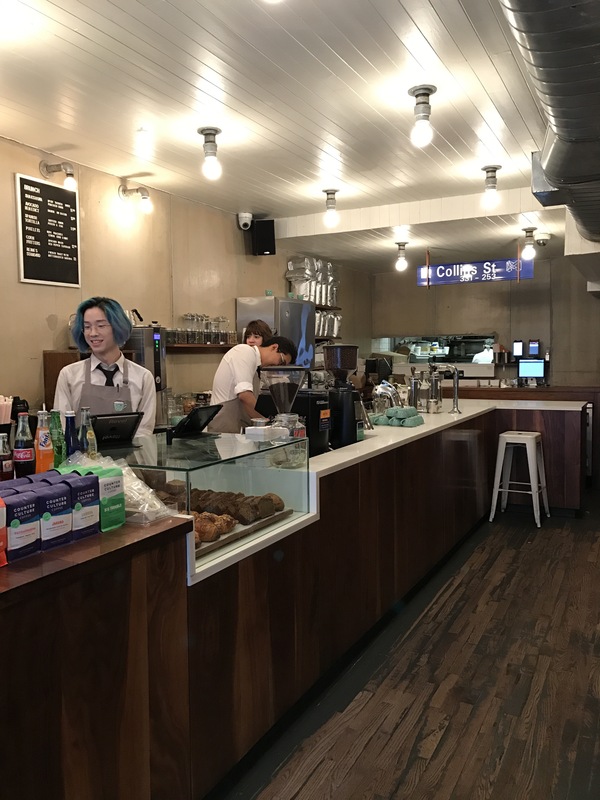 You can put an Australian cafe in New York City but you can’t take the New York out of it – the staff were loudly having personal conversations behind the counter which was just a little off putting for us quiet Aussies. 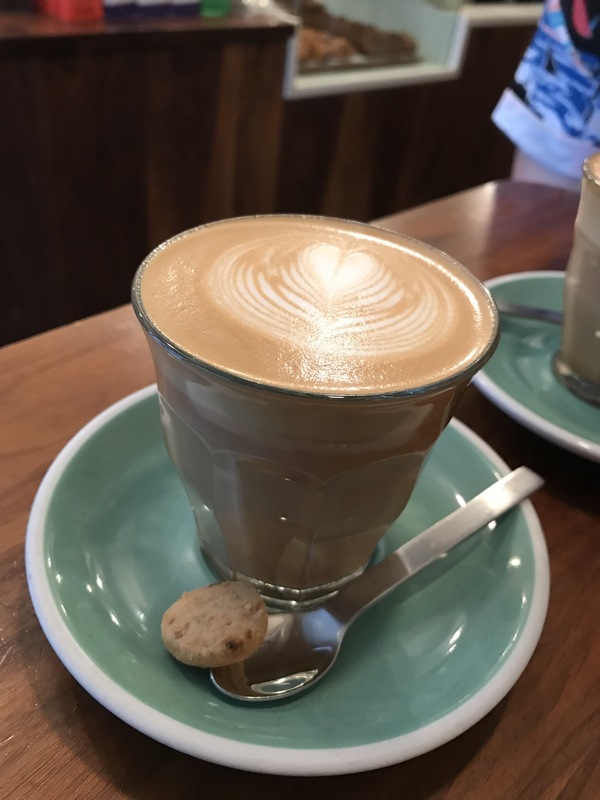 We started with a latte using Counter Culture beans. In a nice touch it was served with a mini cookie on the side to go with the interesting flavours of the brew. 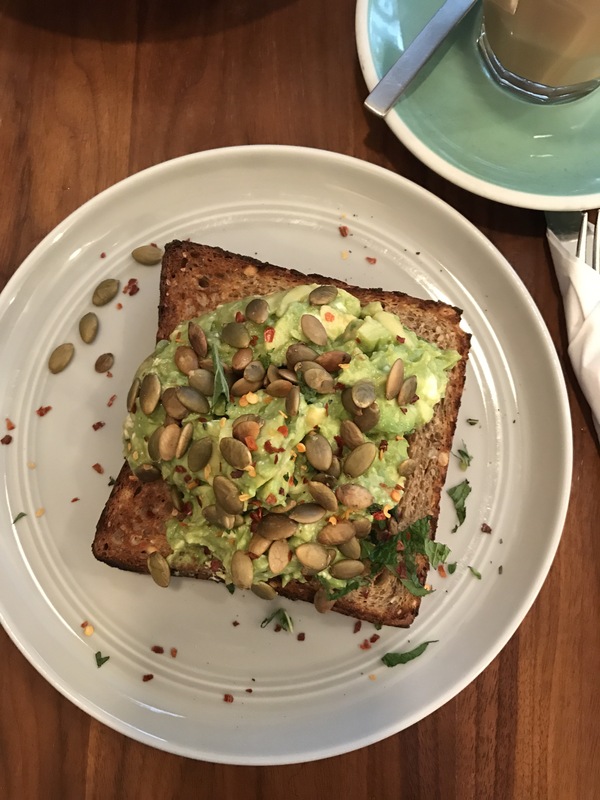 The menu featured two of our favourites, French toast and smashed avo (synonomous with Aussie cafes here). The French toast was particularly fantastic, crunchy butterscotch, banana toast surrounded by berries, it was a great combination and different to others we’ve seen done. We would have liked a little more butterscotch sauce to mop up with the toast and to give the dish a little more moisture. We particularly enjoyed Little Collins take on the Avocado Smash. It was a good balance of everything, with crunchy seeds and a bit of spice to warm it up. There was the option to add an egg but we didn’t feel it needed it. 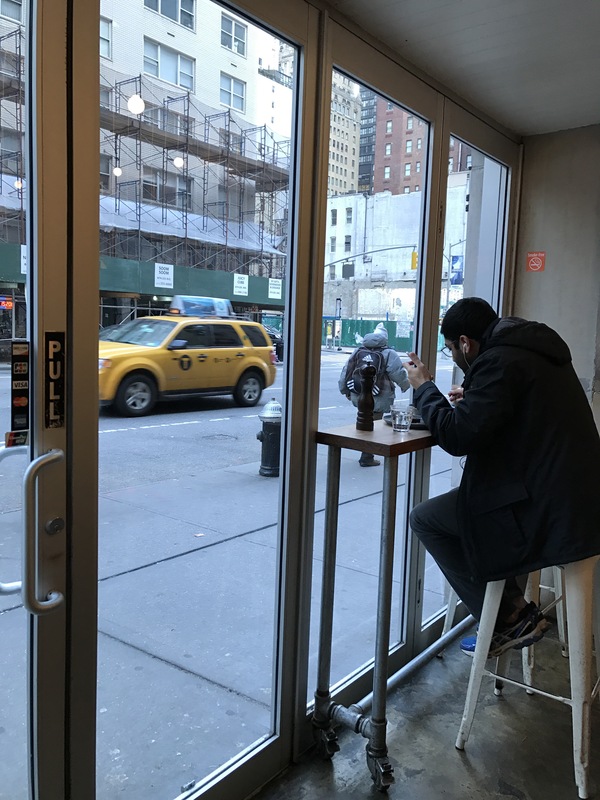 Little Collins is an interesting example of an Aussie inspired coffee shop in the big apple.